Recently we went hiking with friends all the way to the summit of Le Parmelan (1834 metres) the prominent peak jutting out of the north edge of the Alps a little west of Lake Annecy (see map below). 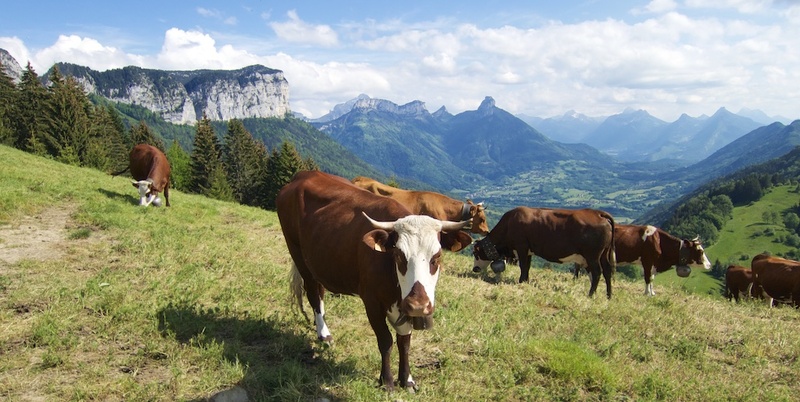 It’s a huge, rugged massif with the occasional hiking trail, but not much else. I, of course, was eyeing the cycling possibilities. As we hiked up a steep section with chain hand rails and vertiginous drops – I saw an unlikely cliff road below. 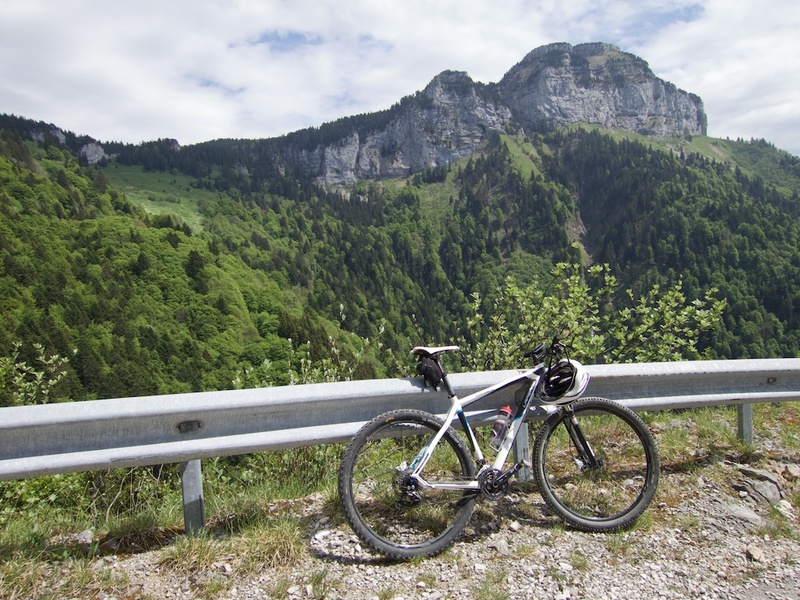 I learned that this was the road to Chalet de l’Anglettaz, and I decided to have a look on the bike. 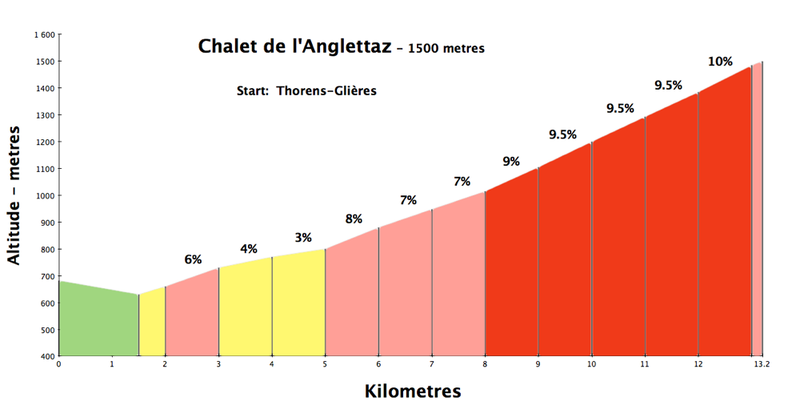 Starting from Thoren-Glières, it’s a 13 kilometre climb to the Chalet. The first couple of kms on a good quality road, then turning up onto a great little forestry route that becomes gravel after 9 kilometres. 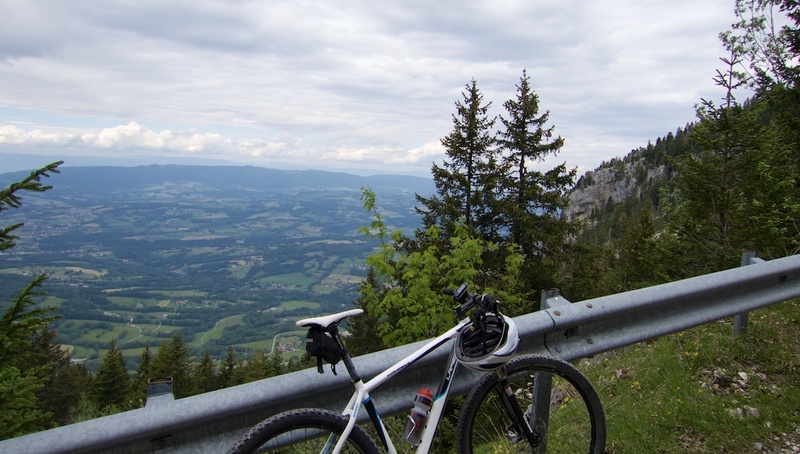 It’s a fun, quiet ride, winding ever higher with lots of great views. The Chalet is at roughly 1500 metres, but the farm road continues for perhaps another kilometre higher. At this point the cycling ends. 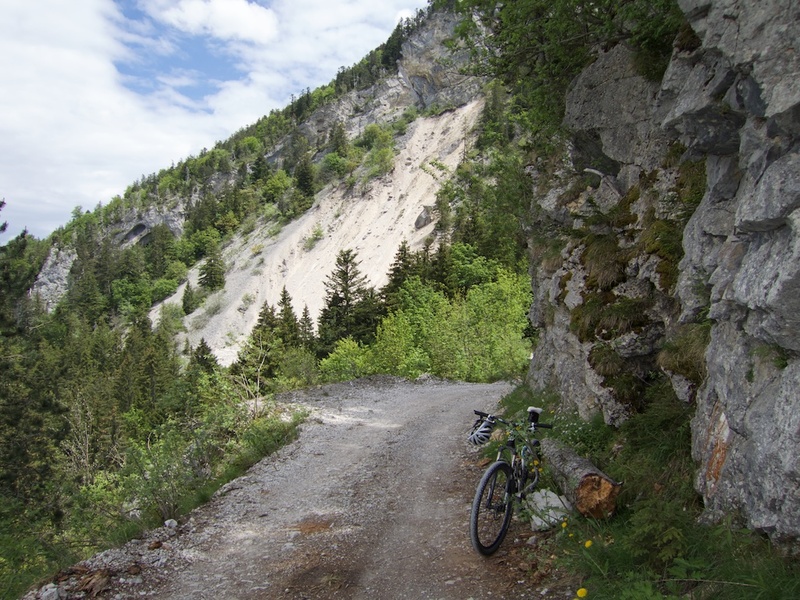 I followed a very rocky hiking trail – rarely possible to pedal. I was planning to keep going to the the top of Le Parmelan, but it was hard going, and when I reached Grotte de l’Enfer (Cave of Hell: 1679 metres) and the sign said it was still 1h20m hike and I took a different trail back to the Chalet – also hard going – and just descended to the start. It’s a strange, rocky environment up there. Quiet and peaceful. 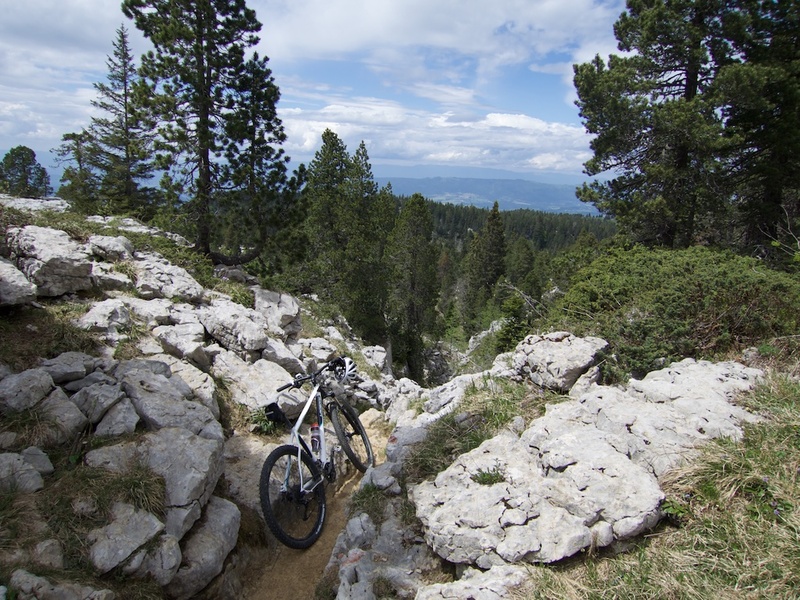 And many will enjoy the descent possibilities on rocky trails. 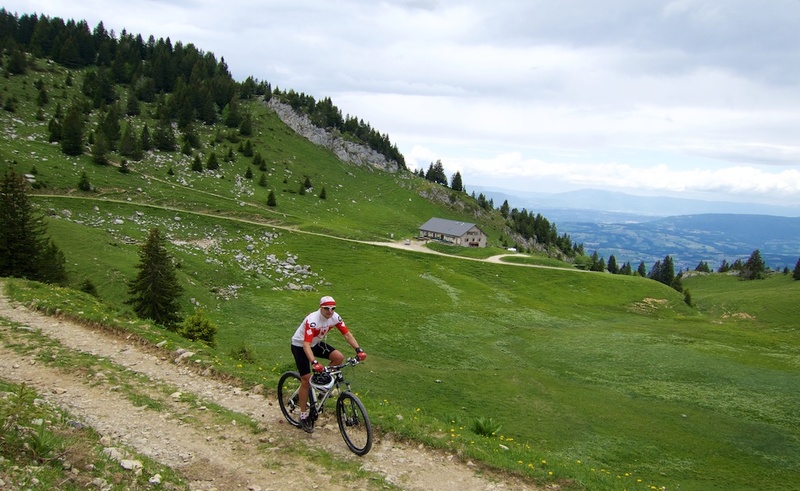 But to get to the summit will require a long hike with the bike. 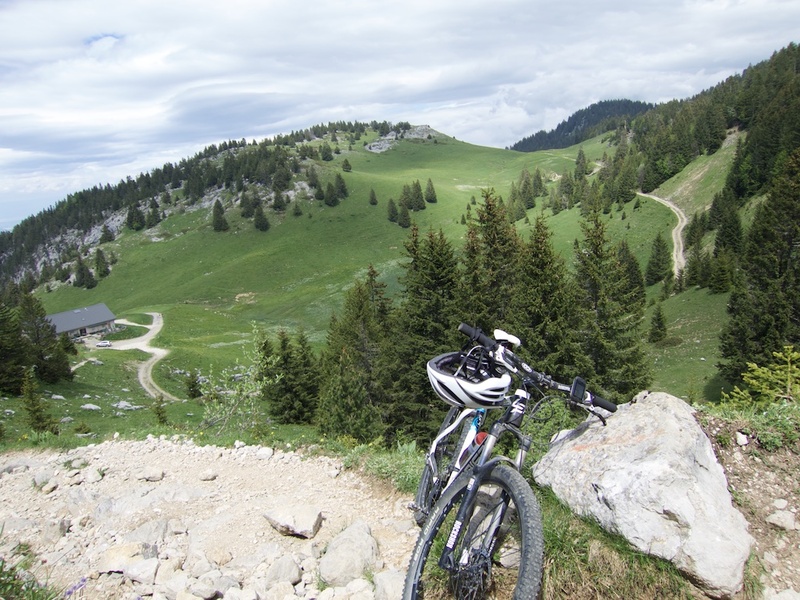 But the climb to the Chalet is wonderful. suggestions on where to rent bikes in the area?